The Westwood home at 10277 Orton Ave., LA CA 90064 lasted 22 days on the market before accepting on offer on 8/8/11. 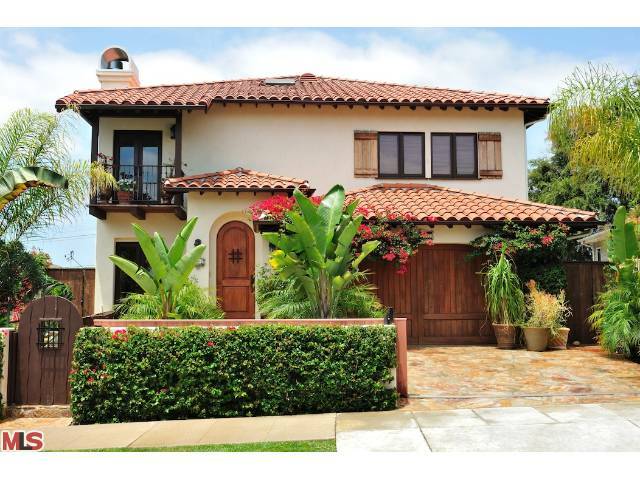 The home was listed on 7/17/11 for $2,295,000 and did not receive any price reductions during the short listing period. This Spanish style home was built in 2008 by a prominent local builder for his personal residence and per the MLS is a 5 bedroom / 6.5 bath, 4,966 sf of living space on a 6,882 sf lot. While the home has all the modern conveniences of a newer built home, the builder kept the styling and finishes of a more authentic 1920's-30's Spanish home that is prevalent in the neighborhood. 10277 Orton Ave LA CA 90064 sold and closed on 10/4/11 for $2,190,000.